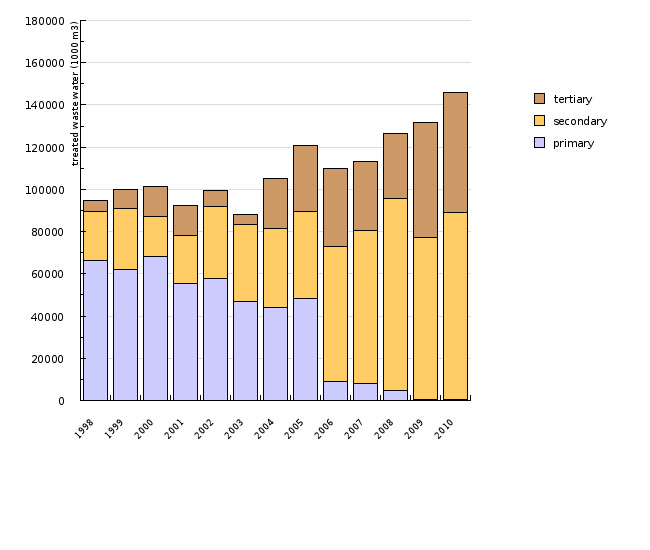 In recent years, the amount of waste water treated by processes of secondary or tertiary treatment increased, while the amount with primary treatment decreased. The amount of wastewater that was treated with secondary treatment processes, has, since 2003, increased by 244% or 36 million m 3 (in 2003) to 88 million m 3 (in 2010). 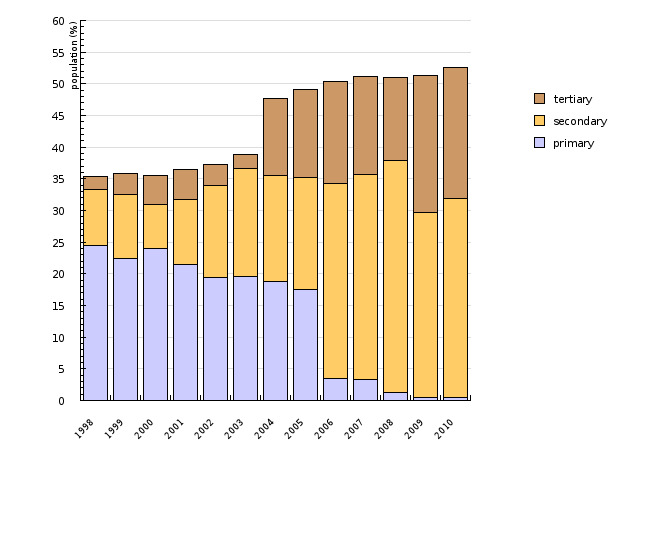 Tertiary wastewater treatment was almost nonexistent in Slovenia in 2003, while in 2010 39% of all treated wastewater, or 57 million m 3 wastewater was treated by tertiary processes.